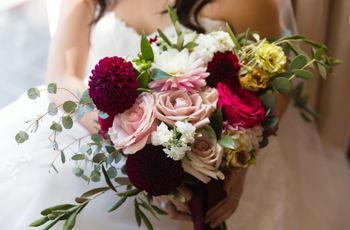 8 Stunning Alternative Wedding Bouquet Ideas | Wedding Ideas ARE YOU A VENDOR? 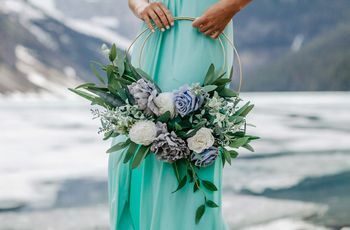 Yes, traditional floral wedding bouquets are stunning - but they can be expensive and tricky to preserve, so why not go off the beaten trail and consider alternative wedding bouquet ideas? 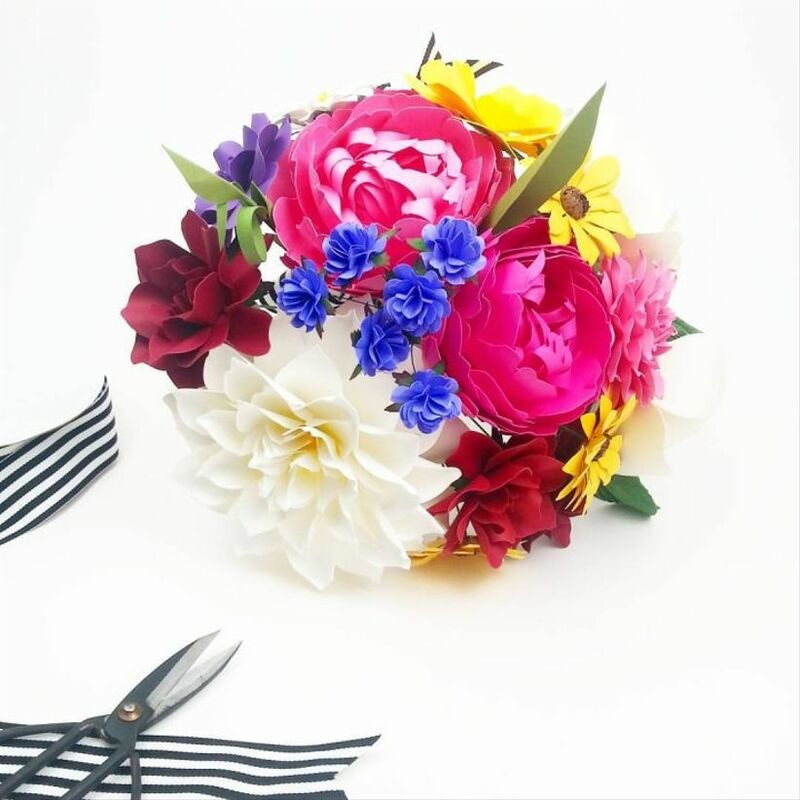 From paper to lego bricks, pretty much anything can be used to craft a bouquet. 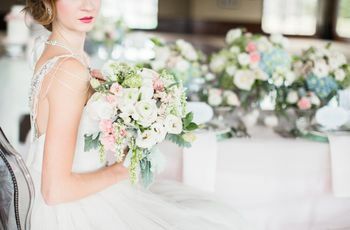 Trade in soft petals for something else and you’ll be left with a stunning bridal bouquet that’ll last a lifetime (and save you a few extra bucks). 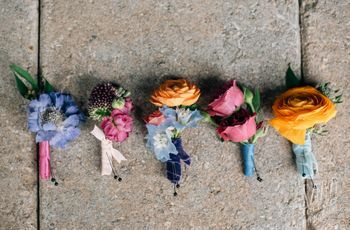 Here are a few of our favourite alternative wedding bouquet ideas. 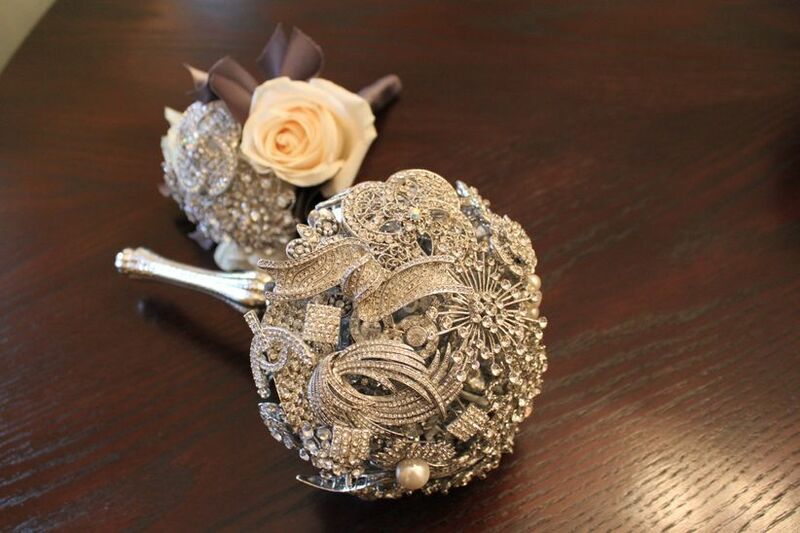 This is a favourite alternative wedding bouquet idea that brides have been turning to for decades. 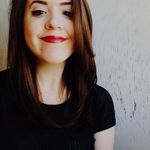 It’s easy to mimic the look of real flowers with softer papers, but if you want something a touch more sentimental, use the pages from your favourite book or a few love notes. Complement some blooms with feathers for something that really packs a punch. 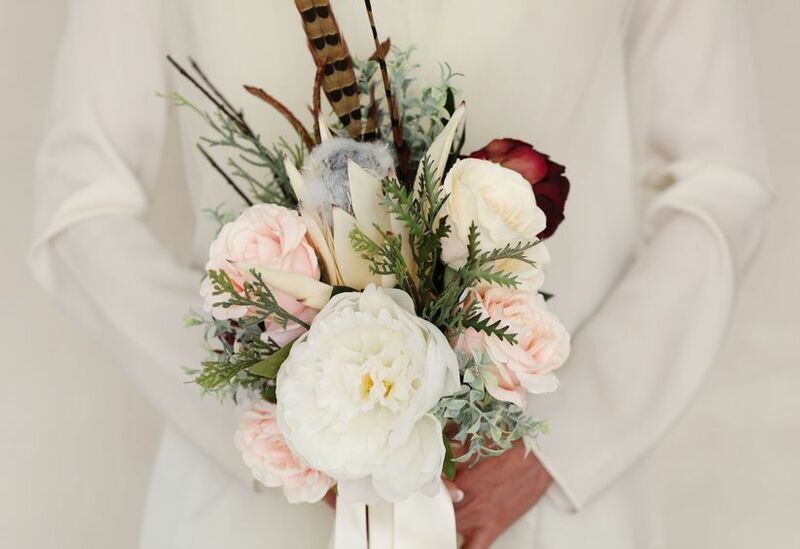 Monochrome feathers have a sleeker look, while more varied arrangements make for the perfect boho wedding accessory. Ok, ok, so this one isn’t exactly groundbreaking, but it’s a nice alternative wedding bouquet to your average bunch of roses. 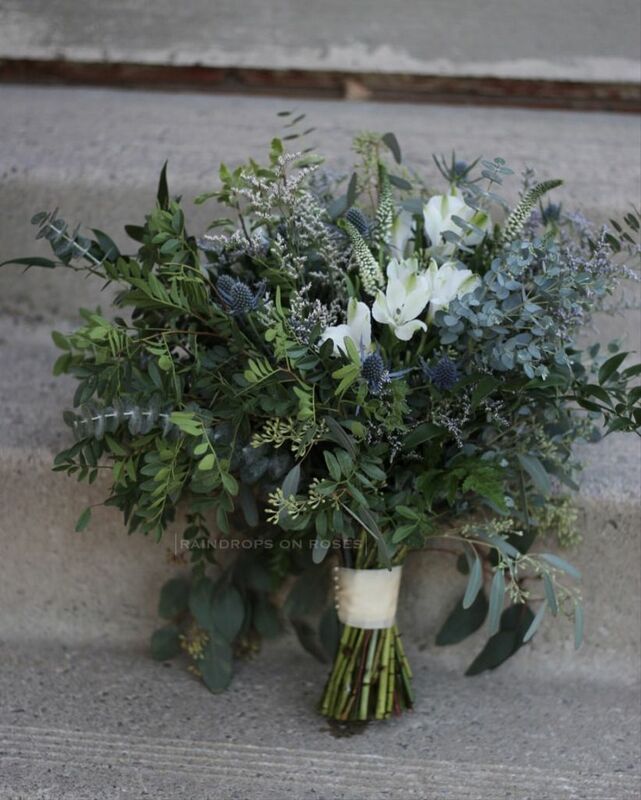 We suggest you bolster your bridal bouquet with a melange of ferns, succulents and leaves to make it pop. 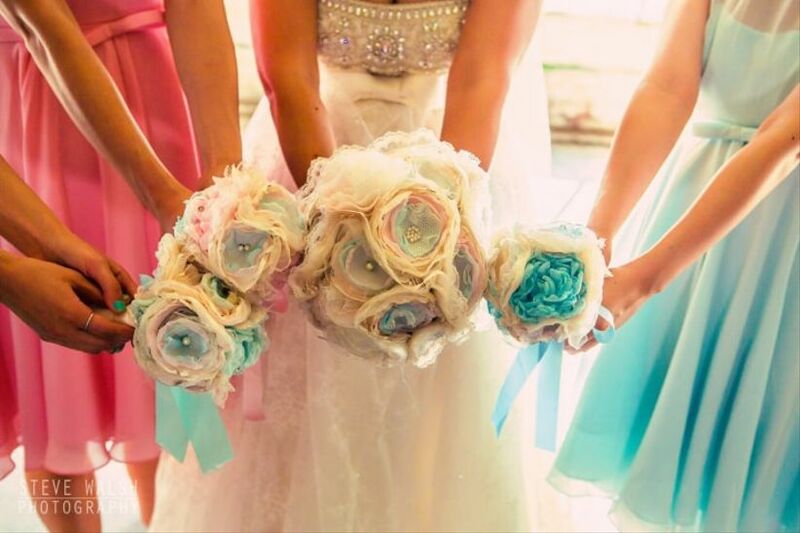 Textiles are another great alternative wedding bouquet idea. With so many variations of fabric out there, you’re sure to stumble upon something amazing. We love the idea of mixing different textures and patterns to create a bit of interest. Who needs just flowers when you’ve got berries? 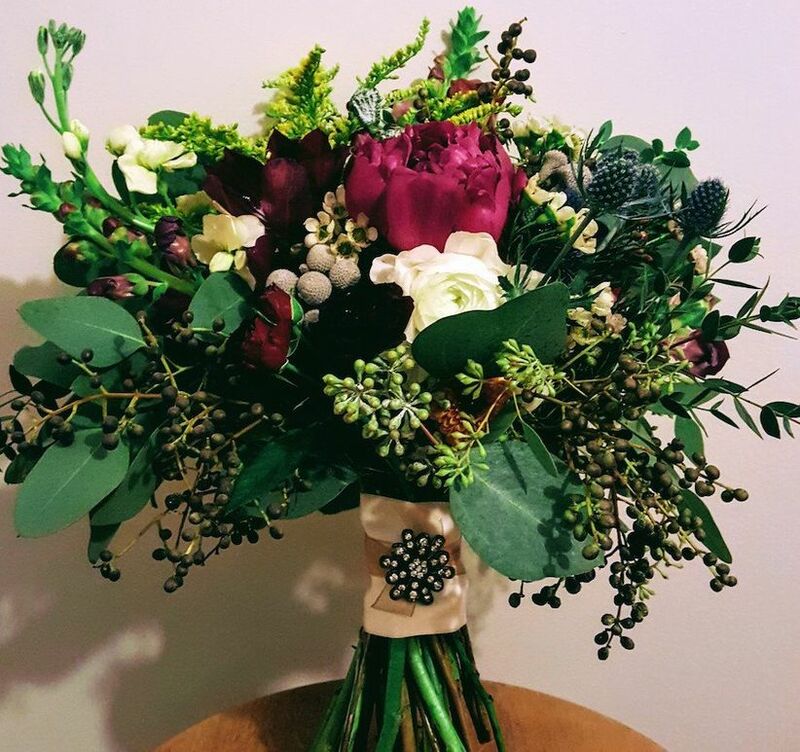 Add in a little bit of greenery and a flower or two and you’ve got a stunning bouquet. Pro tip: this is an awesome idea for winter weddings when some of the more popular blooms aren’t in season. 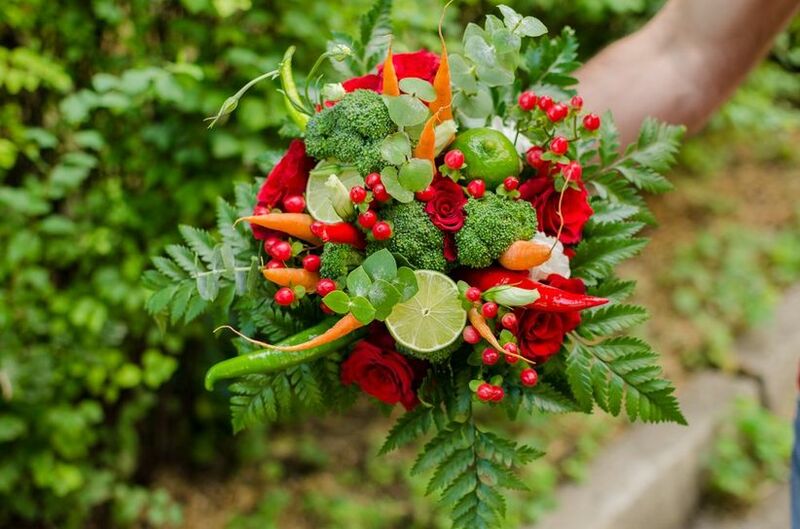 For all the foodies out there, there’s the edible bouquet. Seasonal fruits and veggies are a great way to make your arrangement original. Bonus: you can eat it later if you start getting a bit hangry before the reception. Everything old is new again and this is one of the more unique bridal bouquet ideas. 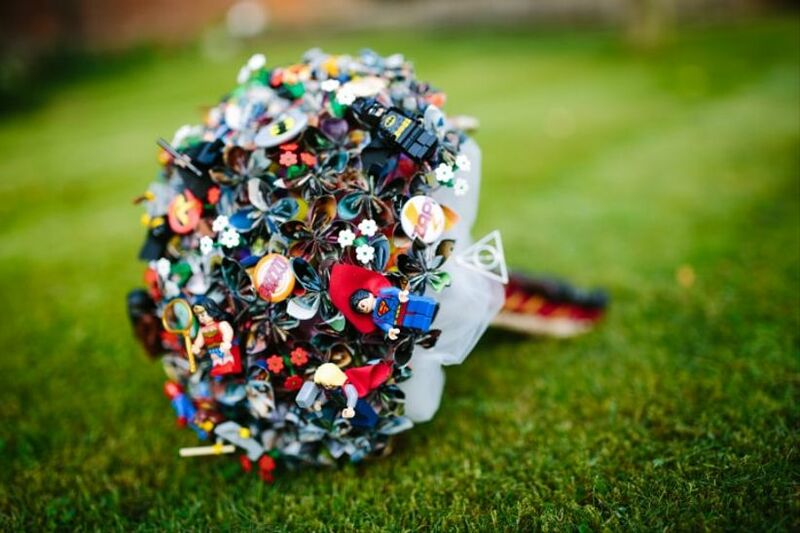 Put your favourite childhood toy to use and craft your own bouquet out of lego - just make sure you don’t step on it later (those little blocks can hurt). 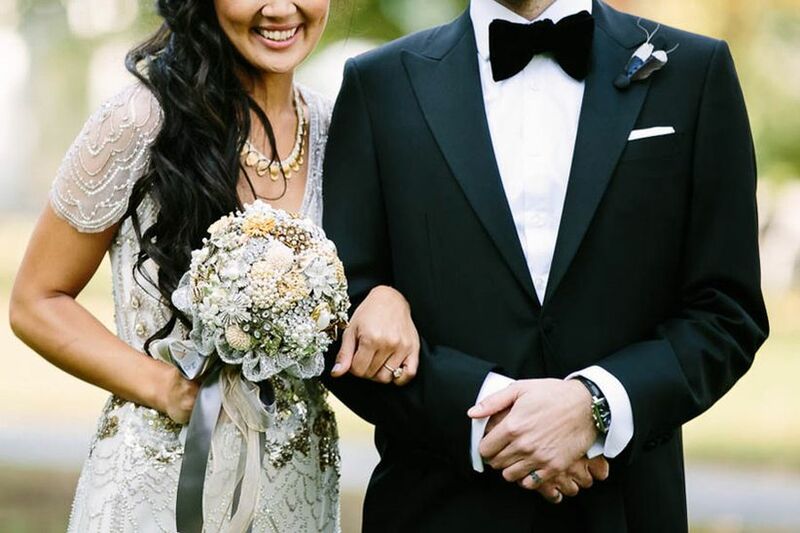 Pictured at top: Huy scoured vintage shops in the months leading up to her wedding to lovingly make her own brooch bouquet; image A Brit & A Blonde.